The Master in Advanced Mathematics (MAM), of 60 credits ECTS, is an official master program organized by the Faculty of Mathematics and Computer Science at the University of Barcelona. This program is intended primarily for holders of bachelor’s degrees or pre-EHEA degrees in mathematics, or related disciplines. It covers a broad range of subjects in advanced mathematics to give students the knowledge and skills they will need to carry out high-level scientific and professional tasks, in particular a mastery of advanced computational methods, an ability to work in multidisciplinary environments, and a capacity to transmit their understanding of advanced mathematics to others. Twenty-five places are offered each year. This Tutorial Action Plan (TAP) sets out a series of specific information, guidance and support functions that will be offered over the period of master’s degree study. 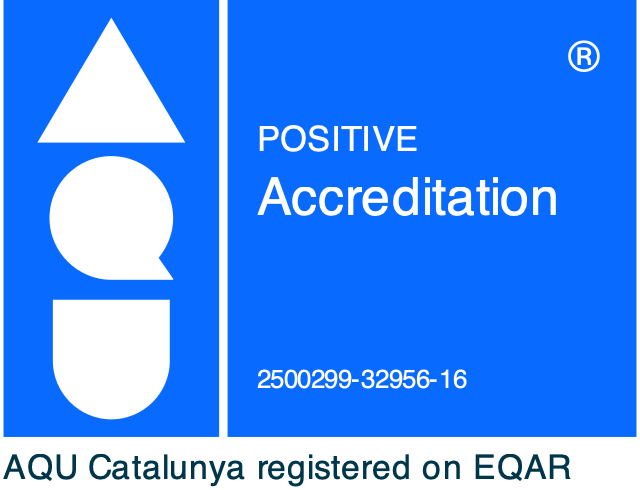 It reflects the University of Barcelona’s specific commitment to offering effective tutorial support and its general aim to bring about constant quality improvements in academic activities. Provide guidance at the end of the master’s degree on options for doctoral study and career opportunities. The general coordinator of the master’s degree acts as the coordinator of the TAP, liaising with the staff responsible for each action and overseeing the monitoring and evaluation of the Plan. The TAP sets out a series of actions across three phases: actions prior to enrolment, actions during the period of study, and actions in the final phase of the period of study. Active involvement in the Saló Future postgraduate studies fair, providing general information on master’s and postgraduate course offerings. Distribution of an English-language leaflet on the master’s degree content. Organization of an information session on the master’s degree, for graduates from the Faculty of Mathematics and Computer Science. Assignment of a tutor to all students admitted to the master’s degree. The tutor is selected from the Faculty’s teaching staff on the basis of each student’s areas of interest within the master’s degree syllabus. Tutors help students to select their optional subjects for the master’s degree, suggest possible topics for the final project, and provide general advice and guidance throughout the degree program. Presentation session for new students, on the general organization of the master’s degree and the range of academic and administrative services offered by the Faculty (library, dedicated computer room for master’s students, secretary’s office, information point, lecture rooms, department offices, etc.). Personal monitoring of each student. Contribution to the Professional Guidance Day. Promotion of cross-disciplinary talks and conferences organized by doctoral students. Promotion of talks and colloquiums organized by the Faculty and by the University of Barcelona Institute of Mathematics on research activities at the UB. Distribution of information on employment offers, grants and scholarships, and doctoral programs. At the end of each academic year, the coordinator of the TAP compiles a report for the Coordination Committee on the actions carried out, the degree of student participation, and the views of each tutor on the successful implementation of the Plan. The report summarizes the strengths and weaknesses identified and formulates proposals to improve the Plan for the following year.